Specsavers in Minehead has raised nearly £90 in two days for the Royal National Lifeboat Institution (RNLI), will be putting their rowing skills to the test to raise money for the Royal National Lifeboat Institution (RNLI). Four staff members are taking part in the Minehead RNLI Raft Race as team ‘Blind Mice’ to show their support for the charity. Their colleagues are fully behind them, collecting donations in store to raise awareness of the event. 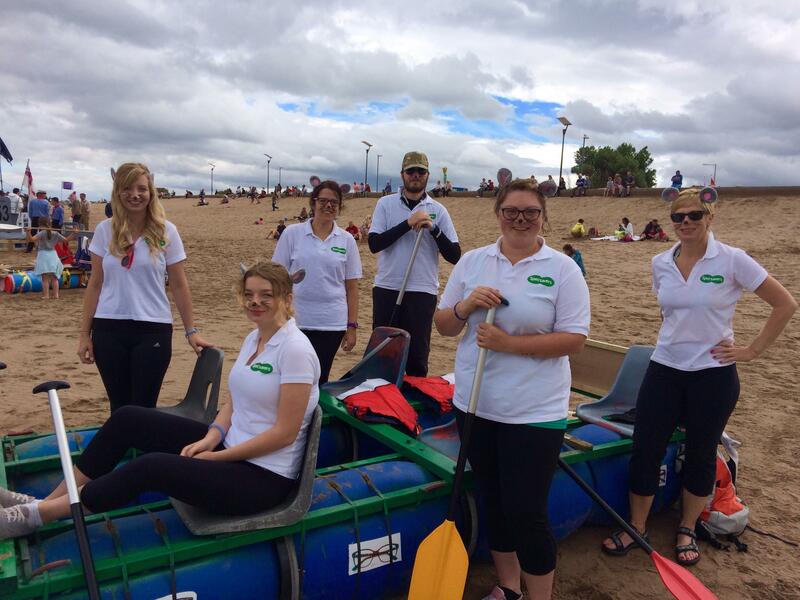 Specsavers Minehead store director, Philippa Hales said: ‘We’re excited to see our staff take to their rafts on Sunday 9 August, joining the community to support the RNLI together. The Minehead RNLI Raft Race is part of the RNLI Harbour Fest Minehead, an annual event which brings people together to celebrate the coastal town and raise money for the lifeboat charity. The RNLI has saved approximately 140,000 lives at sea since 1824 and provides a 24-hour lifeboat search and rescue service around the UK and Ireland.